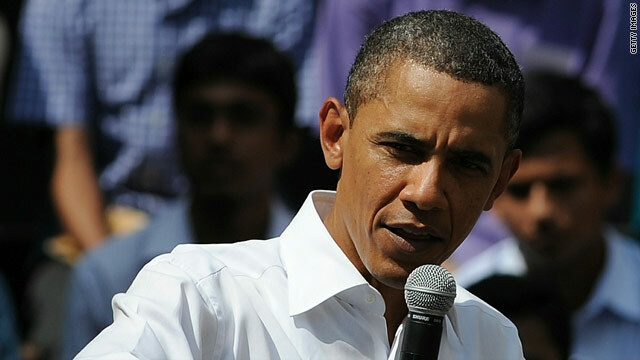 San Francisco (Obama.net)- President Barack Obama continued his stay in India on Sunday. Obama spoke again in Mumbai, this time as part of a town hall meeting. A day after announcing a new deal with India that would be worth approximately $10 billion and would create thousands of jobs in the United States, as well as improve the trade balance in America by heavily increasing exports, Obama focused his attention on Pakistan. Terrorists have been in Pakistan for years and still maintain a stronghold in the nation. While the nation has been making efforts to rid itself of terrorists and become self-sufficient, it has not done a very good job as of yet and President Obama has noticed. Obama made it clear that Pakistan is not moving as quickly as he would prefer it to and that the process to eliminate terrorists from the nation are taking much too long. The President of the United States said that it is now time to take care of the issue and to address the “extremist elements” in Pakistan. Obama did not randomly call out Pakistan though. The President was answering a question from a student worried with the current conditions in Pakistan as it is the neighbor of India. The goal in the region is to create a partnership between India and Pakistan. India and the United States are both concentrating their efforts on ridding Pakistan of terrorists as both countries have been the victims of terrorist attacks. The United States was the victim of the September 11th, 2001 attacks on the World Trade Center in New York City and India suffered a massacre in Mumbai in November of 2008 that saw 164 innocent people lose their lives. Obama is now set to continue his ten day tour of Asia. In the coming days, the President will visit Indonesia, Japan, and South Korea. More vital announcements are expected to be revealed by Obama pertaining to relations with those nations and the American economy. If the stop in Mumbai is any indication, this week will see the improvement of the partnerships between the United States and its allies in Asia economically, politically, and socially. Why did Obama not question Indian and Indians over the human rights violations in kashmir and upholding the pledge for a free and fair referendum – openly. We know they discussed this behind closed doors. Also Indian terror inside Pakistan, support for TTP and BLA.